Similar to all electronic devices, smartphones too malfunction. Either because of age or usage, the life of every electronic also includes those time it will be diagnosed as being in need of repair. The problem however, the advance in the smartphone market has increased manufacturers, and with it a variance in quality, reliability, and functionality of the smartphone. After a reign of Blackberry and the iPhone, and the Android for a time, the smartphone brands now in the market are innumerable. This explains why the smartphone repair business has flourished across the electronics industry, global. 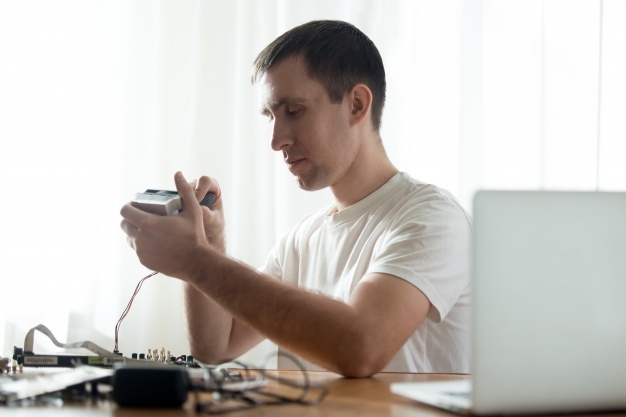 Some repairs only need a DIY solution, but many require a specialized technician. The problem with trying to do it yourself, without adequate knowledge, is the risk of disastrous outcomes for both yourself and the phone. Indeed, some attempts are ill advised. 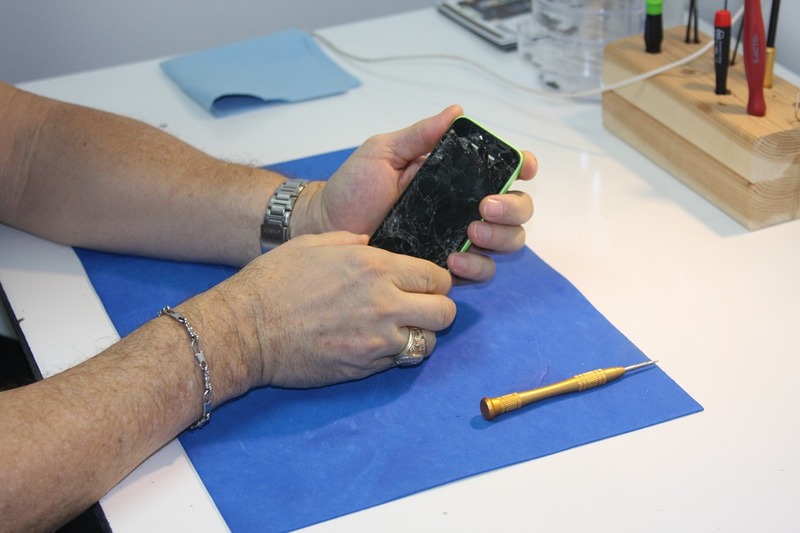 Luckily, if you cannot return your smartphone to the manufacturer, and you do not have an insurance cover, then you will find many of these repair stores both online and offline. This article will briefly highlight the most common repairs with contemporary smartphone brands. A smartphone connects a Logic Board and a Motherboard, both of which are then looped into the circuit board to form a unit. Faults in this symmetry may include corrupted Operating Software (OS), broken or malfunctioning touch screen, ineffective charging system, erratic keyboard, phone crush, dead USB connector, phone lock, camera etc. This often mandates disassembling, and reassembly of a part or all of the entire smartphone hardware, which is unique to each brand. Faulty parts may be buttons, battery, SD card, SIM card, earpiece, loudspeaker, Internal LCD Display, speaker etc. Between 50 and 55% of all smartphone repairs, are caused when the screen is damaged. A broken touch screen (external) or PDA has to be replaced with a new one. Similarly, any damage to the LCD screen or Internal LCD Display calls for a replacement, although a minor damage may be repaired. Between 15 and 20% of all smartphone repairs, occur are after liquid immersion or contact with either water or any other liquid. Such immersion or contact damages the circuitry and may several hardware components or the motherboard. In most cases, such repairs require the replacement or reconnection of several parts. Between 5 and 10% of all smartphone repairs, occur after the charging connector is damaged or malfunctioning. The cause of such damage may be after aging or electric short-circuits. Related problems may include a broken or faulty dock or USB connector. Between 5 and 10% of all smartphone repairs, are to unlock the smartphone either after faulting security protocols or after forgetting the unlocking codes. The repair will be more preferable than some rather-indecent options proposed on the web. About 7% of all smartphone repairs are to address problems with the network signal. The receiver may be faulty or damages and thus in need of replacement, although most problems occur after the receiver is disconnected. Related problems that may trigger a smartphone repair include problems with the Bluetooth, Wi-Fi, and LAN connectivity to the worldwide web or other devices. About 5% of all smartphone repairs are to address a faulty or malfunctioning sound system, speaker, loudspeaker, microphone, or ringer. There are times that the smartphone has no voice output, when the headphone socket is damaged or disconnected, or when SD card content has no audio. At other times, the volume control buttons are disconnected, damaged or lost, and thus need replacement. Below 5% of all smartphone repairs exclusively respond a smartphone that has crushed, either to retrieval data, or to flush (format) the system anew. Although a phone crush yields a dead/lifeless phone, the smartphone may also be not charging if the connector is damaged or if the power button is faulty and can therefore not boot the smartphone.